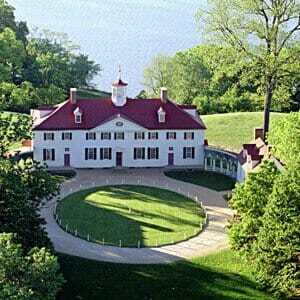 Built in 1735, the Mount Vernon estate is a national landmark remembered as the home of President George Washington. The 21 room mansion has been meticulously restored to the way it looked in 1799 and includes the gardens, farmland, outbuildings, and more that made up this 18th century working plantation. Experience life the way George and Martha Washington did on the estate with living history character representations, exploration programs, and presentations. See the working blacksmith shop where they would have made horseshoes, tools, and more for the farm or explore the six-acre gardens designed by George Washington. Animals still live on the estate so be sure to visit the horses, mules, oxen, sheep, hogs, and more while you’re touring. Besides the mansion, you may also visit the tomb where George and Martha are buried, the Slave Memorial and Burial Ground, the Distillery and Gristmill where they made liquor and beer, and the Pioneer Farm where President Washington earned a reputation as a farmer and mule breeder. The Mount Vernon Inn Complex has history and culture as well as food and shopping. Visit the Inn restaurant and look over the sun-sparked Potomac River or window shop at the General’s Store, Lady Washington Shop, or the George Washington themed bookstore among others. Be sure to check out the Donald W. Reynolds Museum and Education Center for a concentrated historical look at George Washington’s life and legacy. The estate is open 365 days a year and welcomes dogs just as George Washington welcomed them to his home. Take a tour with your dog, pick up an adventure map with your kids, or take an in-depth historical or architectural tour of the estate with a trained historian.